Public lands are one of the greatest legacies that our country possesses. Well, for me, that speaks of the best part of the United States: the land itself. We are exceptionally fortunate that despite the pressures of industry, resource extraction and other private interests, our federal government has kept about 28% of its 2.27 billion acres of land in the public trust. That includes a whole lot of mountain majesties and spacious skies. Another 12% is owned and managed by states, counties and municipalities. All this land has to be managed, and so we elect representatives who pass laws determining how these public spaces can be used. Various agencies are in charge of implementing these laws, and they have to balance the needs of loggers, miners, ranchers, recreational users and the environment. 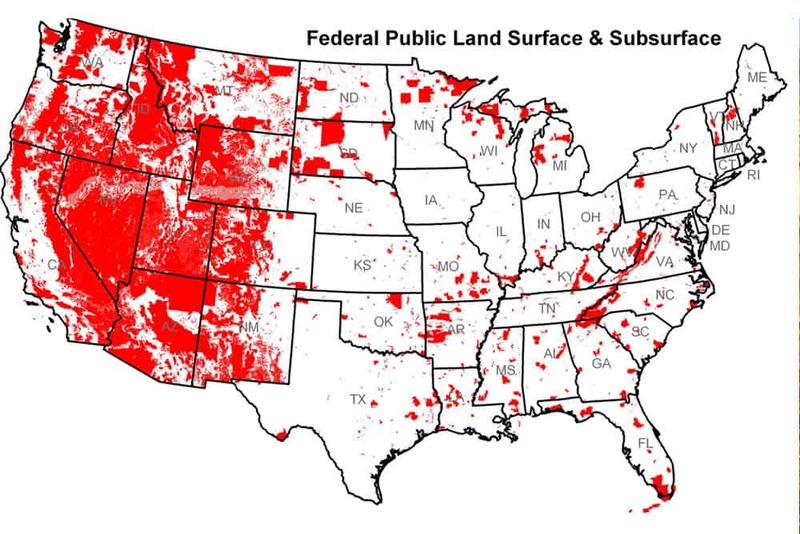 Americans are lucky to live in a country where, at a certain point in its expansion, the government decided to stop giving away lands to private individuals, leaving a significant portion in the public trust to be managed by federal agencies. Not all agencies have the same mission, so it helps to look at the managers of federal lands individually; that way you can know what to expect when you’re trying to scrounge up a campsite in their territory. 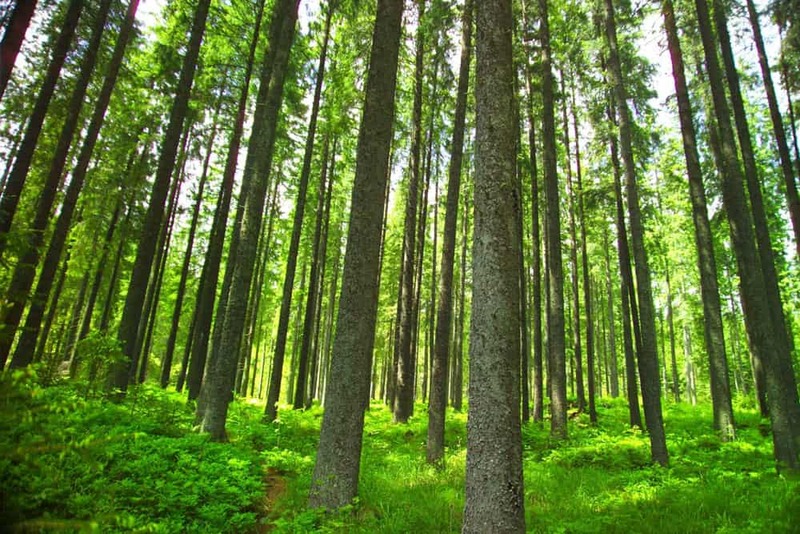 In the Department of Agriculture you will find the Forest Service, because… trees are like agricultural crops, right? Forest Service employees manage National Forests and National Grasslands, which makes them great allies for car campers to have. In the Department of the Interior are multiple land managers, like the National Park Service (NPS), who oversee the National Parks as well as National Seashores, National Lakeshores, some National Preserves, most National Monuments and numerous historic parks, sites, trails and battlefields. 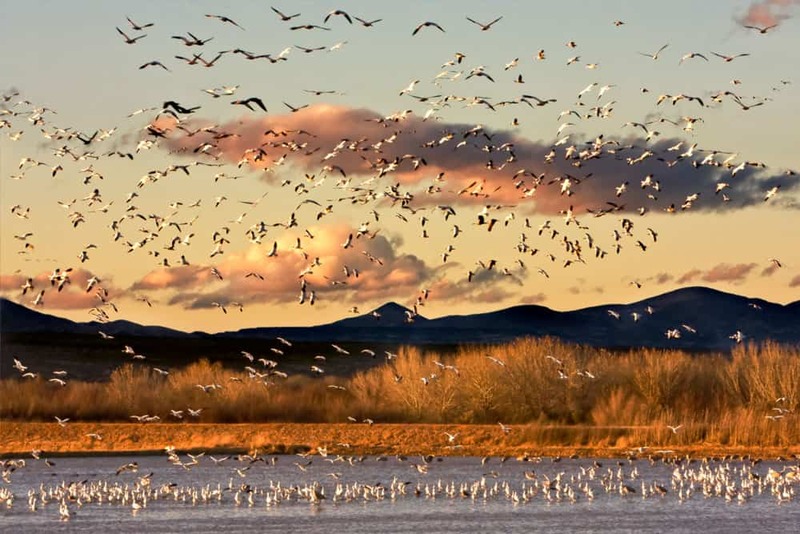 The Fish and Wildlife Service (FWS) manages the National Wildlife Refuge system. The Bureau of Reclamation oversees recreation areas around several of the dams and reservoirs that they manage. And the Bureau of Land Management (BLM) administers the remainder of the mostly unforested land, along with a few National Monuments. The Department of Defense has large landholdings, including several campgrounds and recreation areas, but you are unlikely to gain permission to visit them unless you are active or retired military personnel. Most of my most epic campsites have been found here. 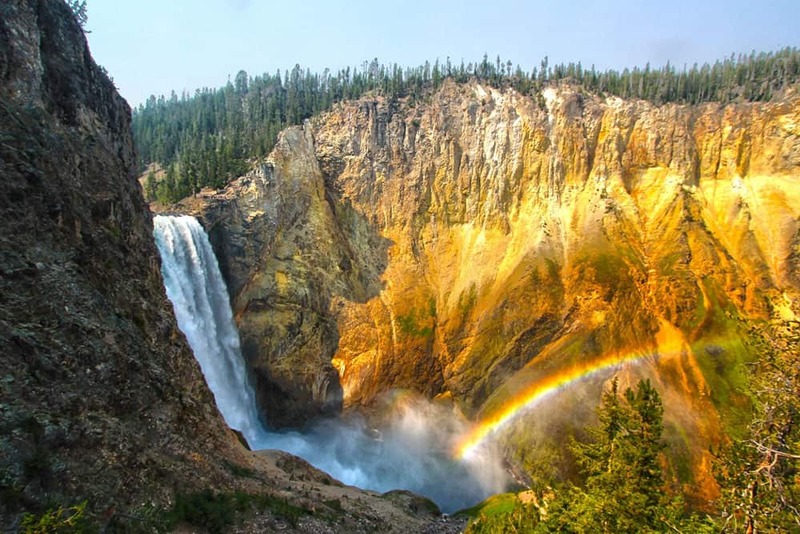 There are 155 National Forests, many of which were designated by President Teddy Roosevelt in a sneaky political maneuver that saved much of the landscapes of the Rockies, Cascades and Sierra Nevada mountain ranges from unbridled deforestation. 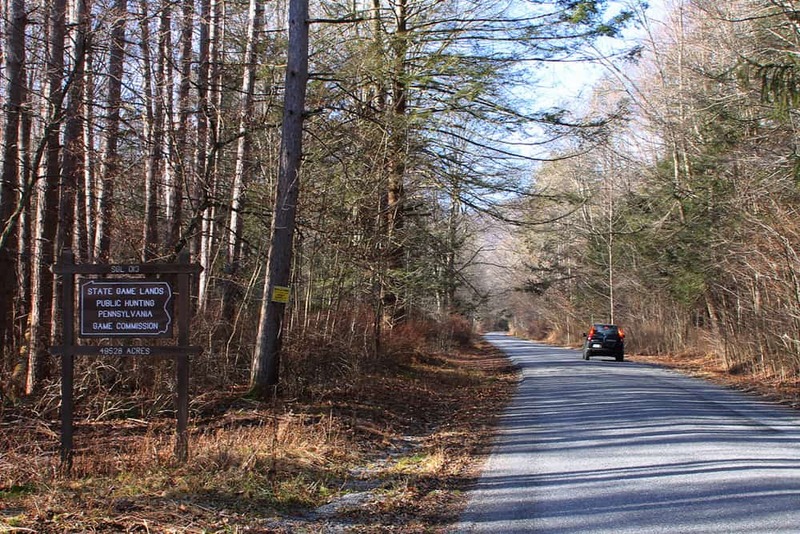 The few National Forests east of the Mississippi were mostly cobbled together from failed farms that had been purchased by the federal government and replanted. Unless otherwise posted, all National Forest and National Grassland areas are open to campsite seekers. Here’s where you’ll find great potential for renegade camping – also known by the less flashy term “dispersed camping”. This simply means camping outside of established campgrounds. You may occasionally see “Camp Only In Designated Campsites” signs near National Parks and areas with potential for overuse, however. Popular forests have to be more carefully managed. In National Forests, you can car-camp for 14 days in the same site. That’s some pretty inexpensive lounging. Campgrounds will set you back $ 10-$ 20 a night, but there are a few free ones out there, if you know where to look. More on that later. Campgrounds will set you back about $ 20 a night, and the National Forests surrounding the Parks tend to have less opportunities for dispersed camping. Even when they do, it might not be worth the time it takes to leave the park every night; what you save in campground fees could be easily outweighed by gas expenditures. This is the only circumstance in which I will pay for camping, even though I absolutely hate doing it. Sometimes you just gotta remember that your time is valuable, too. A couple of the lesser-known National Parks have free campgrounds hidden in hard-to-reach places. Some National Monuments feature free campgrounds and dispersed camping opportunities, especially the ones established by Presidential proclamation since 1996. These places were often carved out of existing National Forest or BLM lands and still retain their original Forest Service or BLM management. Because BLM territory is so often overlooked by the typical American, it can provide tremendous opportunities for the renegade traveler. So many of the gorgeous, colorful badland landscapes of Utah, if not already incorporated into National Parks, lie on BLM land. Wide-open vistas abound. Dispersed camping is frequently easy; there is a 21-day limit before you need to migrate to a new spot. 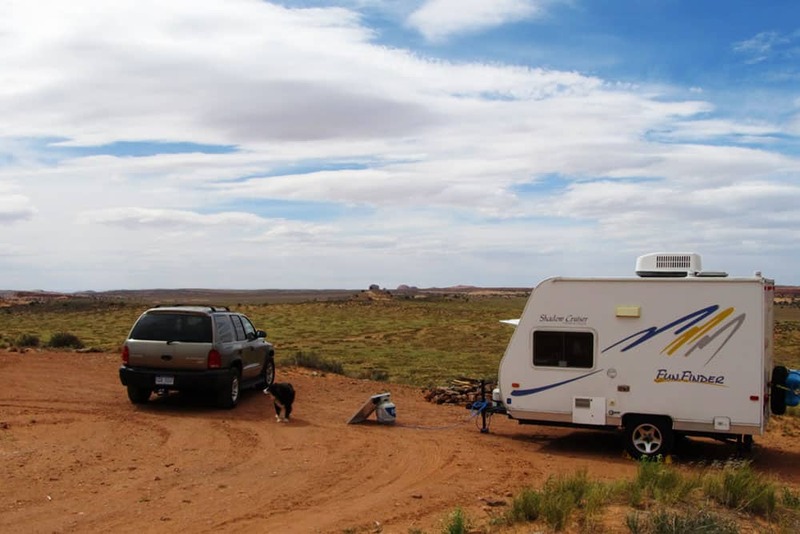 If you’d like to hole up for a longer period, Arizona and California have Long Term Visitor Areas where you can park a tent, car, van or RV for months at a time. Like the ranger stations of the National Park Service and Forest Service, the BLM have their own information centers where you can gather intelligence on hikes, road conditions and campgrounds. If you’re looking for free campgrounds, the BLM has a greater percentage than the other agencies, for certain. Teddy Roosevelt designated the first wildlife refuge in 1903, and today there are about 560 refuges covering over 150 million acres of land. The mission of the Fish and Wildlife Service is to conserve fish, wildlife and plant populations, but initially, animals were protected so that they could continue to be hunted by sportsmen. Preservation of ecosystems is a greater focus today, although hunting traditions have continued. If you visit a refuge, be prepared to make friends with hunters and wear bright clothing. Dispersed camping opportunities are less prevalent, as refuges tend to have fewer roads open to the public. Free and pay-to-stay campgrounds occur in about the same proportions as they do in National Forests or BLM lands. To find the free ones, visit the refuge headquarters or look up the refuge online. If you’re thinking of checking these places out, bring binoculars and try taking a stroll at dawn. Or bring bass ﻿﻿﻿fishing gear, and you might be able to catch your own breakfast. Unlike the multiple-use mandates of the Forest Service and BLM, National Recreation Areas are managed, well, for outdoor recreation primarily. Many of the 44 NRAs were established in the aftermath of huge Army Corps of Engineers dam and reservoir projects – part of the great “Taming of the West”. If you’re looking for cheap or free camping, NRAs with reservoirs will sometimes give you options. The NRAs that operate like urban parks, on the other hand, like Golden Gate NRA, are too close to large population centers to allow dispersed or free camping. The land would deteriorate from too much attention. Just like the federal government, states have their own parks, forests, wildlife refuges and recreation areas. State parks typically have higher campground fees than federal parks – $ 35 a night at some parks in California. The higher fees may exist because states cannot run year-to-year budget deficits, unlike the federal government. Free state-run campgrounds, therefore, are a rarity. This goes for state forests as well. Dispersed camping in state forests, however, is usually allowed. Yep. Counties also can have their own parks, forests and refuges. And fortunately for the traveler, counties occasionally make their campgrounds free of charge because the visitors who stay there contribute to the local tourist economy. Small towns sometimes allow free camping in their town parks for the same beneficial reason, and we’ll revisit this topic in Part Two. Other public lands managed by towns and cities may be used for their water or electrical infrastructure. If you see metal fences, razor wire and “No Trespassing” signs, you may want to look for another place to camp, even if the land is technically part of the public domain. Here’s where we take a leap of faith, people. Renegade camping. This is how I make extended summer travels possible on a limited budget. Hop into your vehicle of choice and head off into the public lands, driving onwards and upwards until you find a campsite tucked into the trees. Maybe there will be a gently bubbling stream nearby. Maybe you will have climbed to a beautiful vista where you can watch the sunset as you prepare an evening meal. Maybe there will be a hot springs within walking distance, and you can sooth your muscles and warm your bones before crawling into the tent for the night. I gravitate towards dispersed camping because I love peace and solitude and because some of my greatest experiences with scenery and wildlife have happened at campsites in the middle of owhere. Established campgrounds can be noisy, crowded, and can defeat the purpose of going into nature. You can’t see the mountains if you’re staring into the back of someone’s RV, and you’re not going to hear a pack of wolves howling if all you can hear is the sound of your neighbor’s generator. 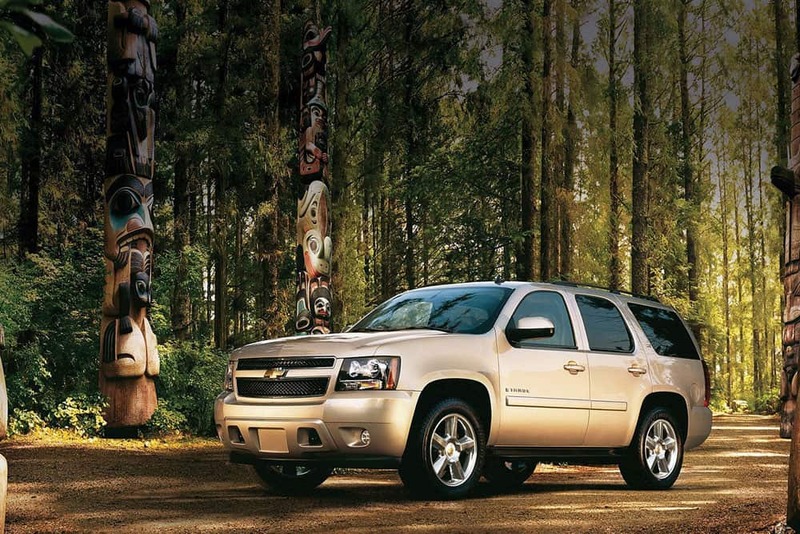 If you’ve got a large family in tow, campgrounds are a tremendous convenience. But if it’s just you and your partner… ditch the KOA and head for the hills. I’ll admit there are some downsides when you give up the amenities that campgrounds provide. Instead of a flush toilet or outhouse, you have to poop in the woods. Instead of water spigots, you have to bring your own water supply, or filter water from streams. Instead of picnic tables, you have a bunch of flat rocks for a kitchen. And instead of a fire pit, you have a fire ring… but at least you can gather your own firewood. We’ll discuss ways to be resourceful and how to mitigate the inconveniences in a later section. It’s well worth it… don’t be discouraged! Charlie and I have worked as a team for so long that dispersed camping is second nature for us. I’ve honed my eye to spot the most obscure campsite locations, and Charlie uses his moderately high-clearance capabilities to get us there. Is it hard? Not exactly… but I want to teach you as many tricks as possible so that you have the most success on your travels. Let’s start simple. Follow Charlie and I as we head off for a dispersed campsite, and we’ll demonstrate how it’s usually done. We’re headed down the highway. It’s beginning to get late in the afternoon, and the route seems to be gaining elevation as it crosses into National Forest territory. Glancing at the map, I can see that beyond the National Forest lies a long stretch of towns and farmland. Probably should take advantage of the public acreage while it’s close at hand. More often than not, you’ll find a previously-used site with a fire ring, some fallen logs for seating and an adjacent area of flattened ground where you can park or pitch a tent without destroying vegetation. Most National Forests are absolutely riddled with places like this. 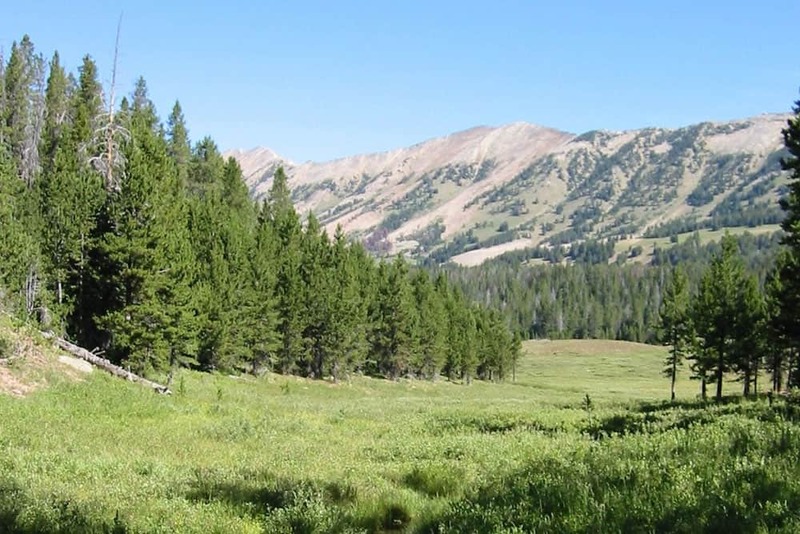 Don’t ever drive onto a virgin meadow or set up camp in any kind of unused, sensitive area. Chances are you won’t get busted, but it’s the worst kind of nature karma you can acquire. The ghost of John Muir will haunt your dreams, and marmots will chew your radiator hose. Likewise, if there isn’t a fire ring already built, you don’t really need to build one, do you? National Forests tend to be crisscrossed with old logging roads, and I like to follow them to the tops of ridges so I can camp where the best long-distance views can be found. Just beware of lightning storms! Alternatively, you can head downhill and find shady pullouts next to streams where it’s easier to wash up at the end of a dusty day. Yes, finding a dispersed campsite can be an adventure in itself. You need to be willing to leave things to chance and have fun with the unexpected. With a little practice, even if you misjudge the time and end up searching in the dark, you can have great success. And when you crawl out of your tent in the morning, your surroundings can be yet another surprise. If you feel you need a little extra help finding your first renegade campsites after reading this guide, I put together a short guide listing ten of the best options for your first forays into cross-country car camping, all chosen for their accessibility, natural beauty and capacity to handle the extra attention. If you’re not too confident about the terrain ahead, visit National Forest ranger stations and BLM visitor centers to get information about road conditions and to ask advice about places to do dispersed camping. 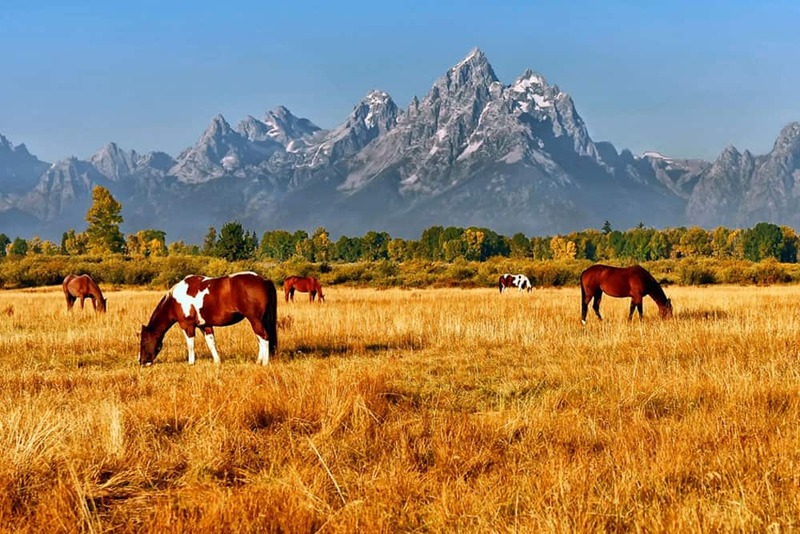 National Park visitor centers can advise you on the fastest way to find dispersed camping outside of their particular park. They’re used to those questions because park campgrounds can fill up quickly in summertime. Signs for BLM roads have their own unique triangular look to them, and the roads themselves are usually unpaved. Streamside or mountaintop campsites can be harder to come by, because BLM lands tend to be drier and flatter. The routes through these landscapes were built by extractive industries, more than likely, and lead to mines and quarries… sometimes ghost towns. Camping in these forgotten corners of our country can be a great way to get acquainted with the bust and boom cycles of the American West. When looking for a free place to car-camp for the night, definitely check these places out. Oftentimes as a condition of flooding a vast landscape, the public entity (federal, state, county or city) responsible is required to provide public access and amenities, including boat docks and campgrounds. When close to large population centers, the campgrounds aren’t free… but away from cities, they frequently are, with shelters, vault toilets and fire rings often included in the package. If no campgrounds exist, most rural reservoirs have dirt roads that run parallel to their shorelines, and one may usually engage in dispersed camping along the banks or bluffs. On a hot day, there’s nothing like a refreshing swim before setting up camp for the night. And stars or moonlight reflected upon the water’s surface will enrich any camping experience. Though not public, some stretches of private timberlands allow dispersed camping and other forms of recreation within their boundaries. Check the signs before you enter. The locations of these forests are hard to predict, because they aren’t labeled on common maps. While searching for a campsite, you will drive past stands where the trees are all of equal ages, giving an industrial feeling to the landscape. Be careful of blind corners during your search, because logging trucks are notoriously reckless and have the right-of-way every time. I’ve never been able to find long-distance views in private timberlands… perhaps because, unlike in National Forests, new trees are planted very soon after their predecessors are cut down. Cleared meadows don’t stay cleared for very long. Charlie and I tend to avoid camping in these areas unless we have no other options. Though I’ve never been disturbed, it’s still strangely difficult to trust that we will be left alone. 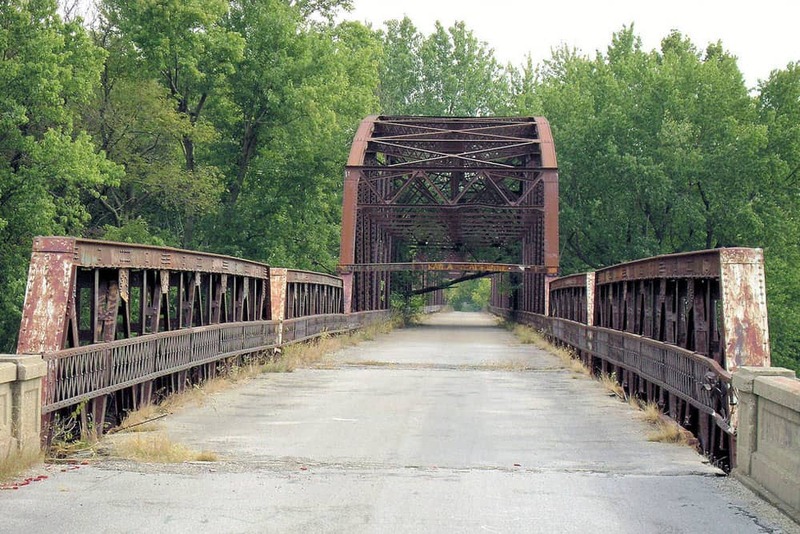 Decommissioned bridges can make excellent renegade campsites. I’ve used them on multiple occasions when the likelihood of my being disturbed seemed minimal. They provide a nice flat surface for tents. The downside is that you can’t drive tent stakes into the asphalt or concrete, so staking out a tent’s rainfly is impossible. One solution on rainy days is to tie dead branches to the rainfly guylines and throw the branches off opposite sides of the bridge. Their weight will keep the guylines taut so the rainfly doesn’t flap in the wind or blow away. Decommissioned sections of roads can serve as campsites, too. Look for mountain roads that disappear into tunnels, or places where the road passes through a gap in a ridgeline that was obviously cleared with dynamite. Oftentimes you can see where the original road once traveled a longer distance around the ridgeline. Though overgrown with weeds, these abandoned cliffside roads can serve as emergency campsites. But you might want to leave your vehicle at the barrier gate and hike down the road a ways before you pitch a tent. That will give you some privacy so that you don’t have to listen to highway traffic all night. Another overlooked free camping option is town or city parks. Several towns in the west with populations under 2,000 open up portions of their parks to RVs and tent campers. For free! Don’t expect this windfall everywhere, and know that it’s not likely to be advertised apart from signage at the park itself. You can check with the local chamber of commerce or visitor center to see if it’s possible. In town parks you’ll find a nice, mowed, grassy place for a tent, and a frequently-clean bathroom with flush toilets. Nearby is likely to be a pavilion with electricity for charging your gear. The downside to these parks is that they have the potential to be noisy. And some parks are directly adjacent to the main thoroughfare through town. 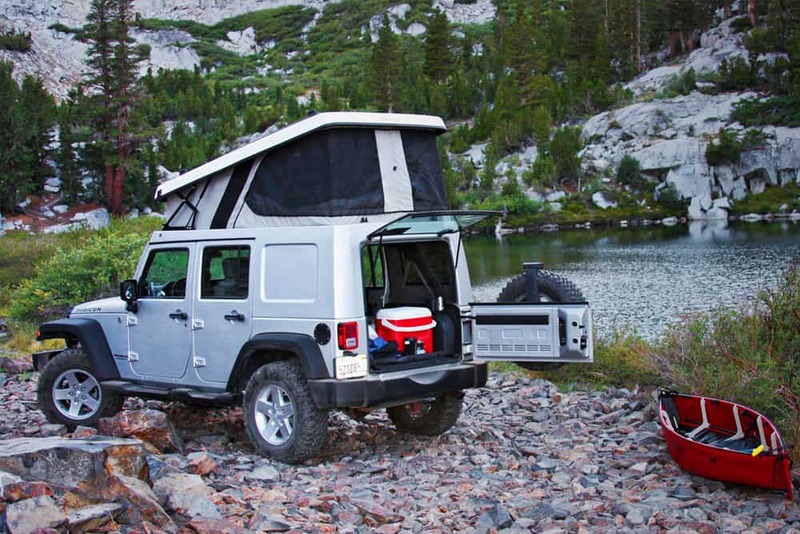 In a pinch, these high-voltage environments can come to the rescue of the renegade camper, especially in states where public land is hard to come by. They come in two varieties. Commonly, where power lines pass through forests, the land on either side is kept clear of trees in order to reduce power outages during storms. If you can gain access to these ribbons of open land, there are jeep roads that run between the transmission towers to allow for maintenance. You will have to ignore the subtle crackling of electricity flowing through the wires overhead should you choose to camp along the ribbons. I personally doubt that 12 hours of exposure to the electro-magnetic fields will harm your body’s chemistry, but I still wouldn’t camp beneath power lines for more than one night in a row. It just feels unnatural. Cell towers are built on leased property atop the high points of hills and mountains. Typically these places are public land, so don’t feel bad about using access roads or camping in the cleared spaces surrounding the towers. Just try not to attract attention. Don’t build campfires. Along the ridgelines above cities, you may find a series of concrete water tanks shaped like flat, circular disks. 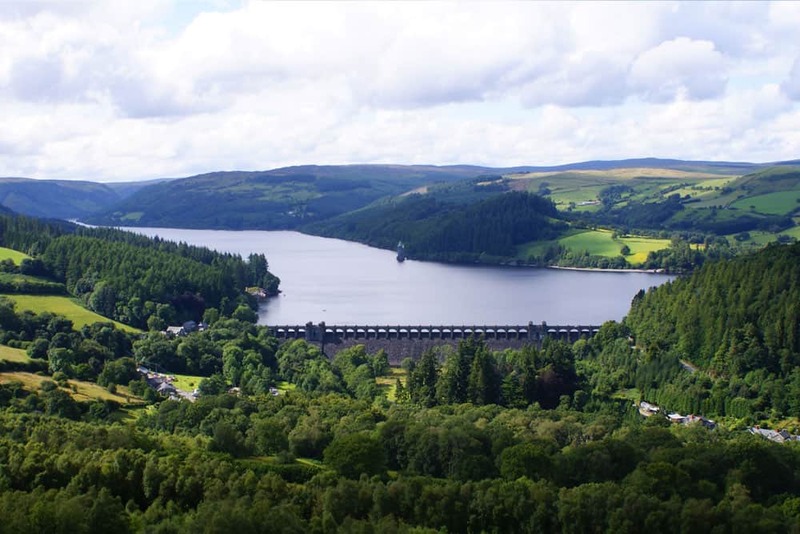 The upper surface is slightly curved so that rainwater collects and trickles down into a small reservoir – possibly to fight fires or for an obsolete purpose. These are incredibly scenic but slightly risky places to camp. The smooth upper surface is perfect for sleeping under the stars with friends, and sunrise/ sunset views can be unforgettable. But water tanks are frequent party spots for teenagers, so they can attract police attention. The police are probably not going to care one way or another about renegade campers, but your solitude is certainly not guaranteed. I recommend avoiding these sites on Friday and Saturday nights, just to be safe. The same caution goes for the hilltops that hold the larger-sized water towers and tanks containing the municipal water supply. Like cell phone towers, they can provide isolated spaces to camp for a night, with commanding views, but you don’t want to attract unnecessary attention while you’re there. Park your vehicle behind the water tank where it can’t be seen from town and try not to create bright lights at nighttime. Consider alternative sites on weekends or holidays, or you might find your campsite taken over by a rave or a kegger… though that might not be a bad thing, depending on your social inclinations. Ah, the pinnacle of the renegade camping experience. Yes, there are places where you can soak in stone tubs of luxurious steaming water, watching the stars overhead through the silhouettes of trees, and once every muscle is sufficiently relaxed, you can crawl into your tent and slip effortlessly into dreams. The best part is that you can do this for free, if you know where to look. Natural hot springs come in two types: developed and primitive. Developed springs are almost always on private land and will cost a fee for their use. 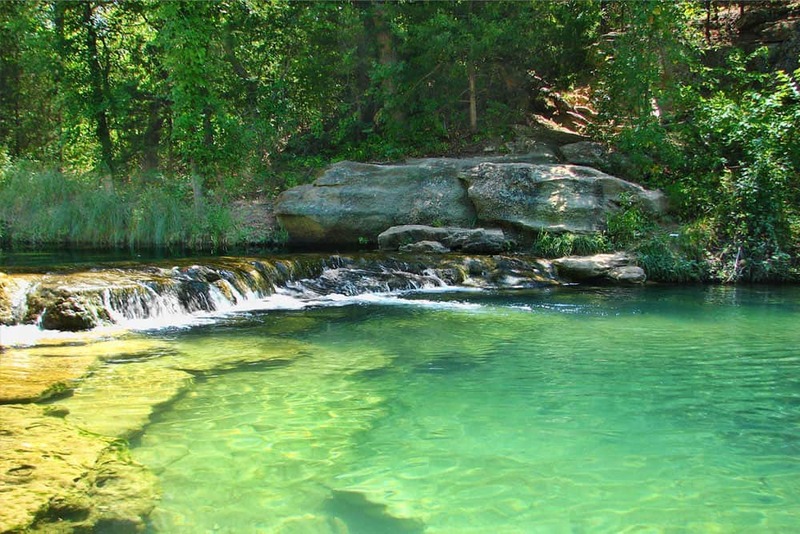 Primitive hot springs, on the other hand, are free, open to the public, and can be out in the middle of nowhere. You may have to drive an hour down rutted dirt roads to reach one. Or hike for ten miles. Or they might be found along a river right next to a major highway. There may be a pit toilet or a changing room nearby, or the site might be primitive in every sense of the word. If there are benches, or if the tubs are lined with cement and fancy tilework, the features were probably built by volunteers. When you’re too poor to pay for youth hostels or buy a drink at a local bar, hot springs can be a great way to socialize and meet fellow travelers. Some springs have a self-appointed “caretaker” who camps nearby and who drains and scours the tubs regularly so that algae and sediment don’t build up. Be sure to thank him for his efforts, even if he threatens to talk your ears off. Primitive hot springs are clothing-optional, with people most likely to soak naked in the evening rather than the daytime. Go with whatever you’re comfortable with. And enjoy yourself… you’ve earned it. Okay, so now that you’ve found a suitable place to park the car… how do you make it the best campsite possible? There’s no toilet. No picnic table. No electricity. No lights. Are you expected to sleep in a ditch? How do you get comfortable in such primitive conditions? First of all, relax. Charlie and I have lots of tricks we can teach you from our twenty summers of cross-country travel. We won’t leave you stranded. We’ve got suggestions for gear and for campsite routines that will make you feel comfortable in no time. If you’re looking for advice on how to convert a van or truck into living quarters, there are plenty of great guides – online and in print – that will get you pointed in the right direction. Once you have your infrastructure in place, it can be a great way to save ﻿﻿﻿money﻿ ﻿on the road, and it can give you more options when you’re stuck in a downpour or lost in a city. On my first adult cross-country journey, my partner and I slept in the back of Charlie almost every night when we renegade-camped, rather than pitch a tent. This decision required a laborious ritual of emptying out the sleeping area and stacking all our equipment on the front seats. Next trip, I learned my lesson. I started setting up the tent every night, and I continue that practice to this day. More on that later. If you have a choice of vehicles, keep in mind; the higher the clearance, the more options you will have when choosing a campsite. Some of the best sites require some creative maneuvering when the boulders sticking out of the road threaten to gouge your oil pan. Take care not to exceed your off-roading skill level or your vehicle’s capabilities. This may be your home for months at a time. Choose wisely. I recommend two tents. For backpacking, have a tent on hand that is lightweight and no bigger than what you need. For car camping, buy a tent that is big, sturdy, and as heavy as it needs to be. These heavier tents can be quite inexpensive – as cheap as $ 25 at a sporting goods store. 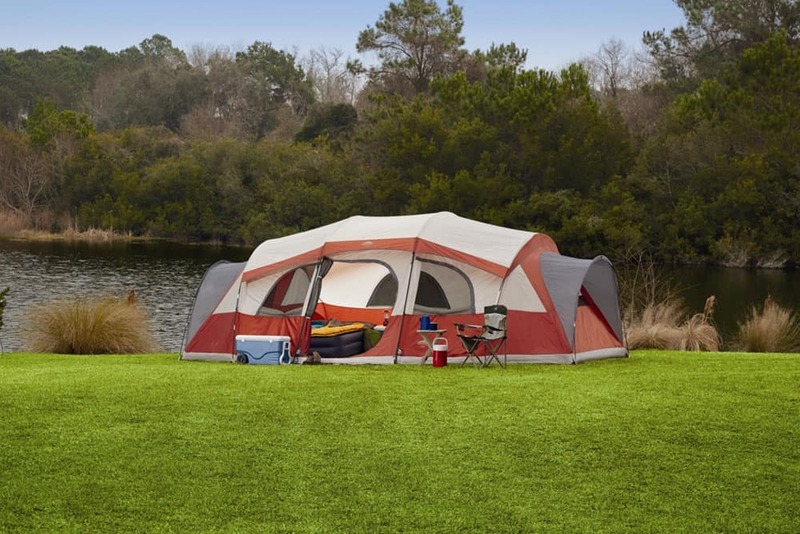 Don’t buy a palace-sized tent unless you plan to stay in one location for multiple days. You want a tent you can pitch in five minutes. The system of tent poles is the biggest factor in the set-up time required. Modern backpacking tents have complex, spiderlike networks of interconnected poles that minimize weight and maximize strength but are time-consuming to assemble and take apart. 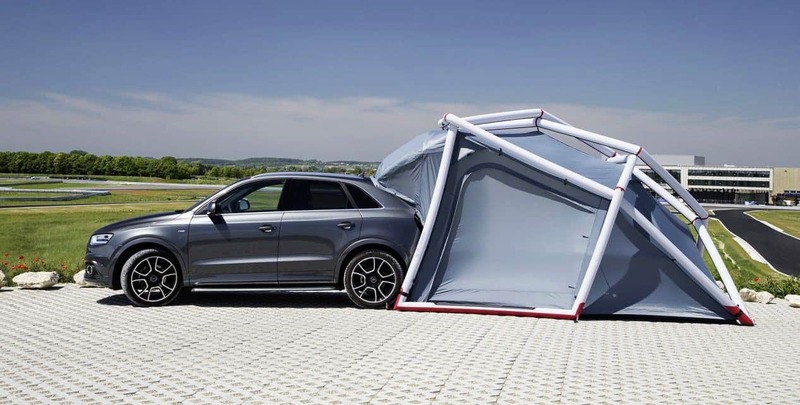 The best car camping tents, I have found, use a simple X-shaped pole system. Grab the poles by the central hub, shake them out so the four arms dangle and snap lengthwise on their own, then plug the arms into the hub. Easy. I would only add the rainfly when rain or dust storms threaten, to keep out heavy dewfall near streams, to conserve heat, to minimize moonlight, or for privacy. Now, are you ready for the best secret of all? A full-sized inflatable mattress. Eight inches thick. About twenty bucks. If you have one of these, you no longer have to search your campsite for the flattest possible area. A thick mattress underneath your tent will smooth out rocks and bumps, and it feels much more comfortable than only having a sleeping pad between you and the ground. Get a pump that plugs into the 12-volt outlet of your vehicle. I usually throw the mattress on the top of my Jeep and inflate it there. So here’s my system. I lay down the tent’s footprint (some people use a tarp) first, to keep the mattress clean and puncture-free. Then I inflate and lay the mattress on the footprint. The tent goes on top of that. If needed, the rainfly follows, and I personally use a tent whose rainfly covers the mattress. A full-sized mattress is usually adequate for two people; the corners of a queen-sized mattress may extend too far past the rainfly and get wet during a storm. Of course, if you use a tent big enough to stand in, the mattress may easily fit inside, which simplifies matters. I love this system. On a rainy night, stretching out on a thick mattress is exquisitely cozy. But there is one potential downside. On cold nights, the outside air can cool the air within the mattress faster than your body heat can warm it. Too much volume in an eight-inch thick mattress. To prevent waking up shivering at 3 o’clock in the morning, put a sleeping bag or a thin sleeping pad beneath you when you sleep. Inflatable backpacking pads are thin enough that your body heat can keep them warm through the night. Foam pads can work even better. Some renegade campsites, especially in the desert, can have significant wind exposure. Windstorms can begin in the evening and last all night. In these situations, I highly recommend parking perpendicular to the prevailing winds and using your vehicle as a windblock. Usually this means pitching your tent on the east side of your vehicle and tying one of the rainfly guylines to the tires or undercarriage. More often, you will find yourself needing to block the morning sunlight instead of the wind, particularly in those treeless desert expanses during the summer season. Pay attention to where the sun is setting, orient your car north-to-south and pitch your tent on the west side of the vehicle. The sun will rise in the east, and you will have gained a precious few hours of shade before the sun rises high enough to bake your tent and make further sleep impossible. Don’t sleep in your sleeping bag every night. They don’t breathe well, and they can get really dirty over time. Instead, throw bedsheets and a comforter into the tent, along with a full-sized pillow. Put the sleeping bag on top of your bedding or underneath you if you’re expecting a cold night. Is it a hassle to transfer the bedding from your tent to the vehicle every morning? Then just leave the pillows, sleeping bag and a picnic ﻿﻿blanket inside the tent. Take out the poles, grab the tent by the corners and toss the whole lot into the back of your vehicle. Throw your camp chair or the rolled-up mattress on top to weigh the tent down so you can still see out the rear window. With this method, setting up your bedding each evening is also a much faster process, plus your tent won’t blow away while you’re trying to insert the tent poles. Empty the tent completely every week, at least, just so you can shake out any hair, food particles or debris that may accumulate. When necessary, you can filter or boil water from streams. To conserve water supplies, I use stream water for soups or pasta since it has to be boiled anyway. Sometimes there’s just no substitute for a good shower. At some private campgrounds, youth hostels, bunkhouses, YMCAs or fitness centers you can pay a flat fee and get a long, hot shower before continuing on to a dispersed campsite for the night. Other public and private campgrounds have coin-operated showers where, if you’re an efficient scrubber, a good rinse can be had for even less money. But if you just need to wash the day’s sweat off your body, score yourself a renegade streamside campsite. Immerse yourself in the water if possible, or just stand in the current and use a wet washcloth to scrub yourself down. No soap necessary. If you can’t find a water source, use your five-gallon water container and washcloth. Scrub yourself down head to toe, rinsing and wringing out the washcloth periodically. This can be a chilly practice on cold evenings, but good hygiene is critical to sustaining one’s physical and emotional well-being on extended cross-country adventures. Cold water not your thing? Get a solar shower for $ 10-$ 20. It’s a black PVC bag that you fill with water from a stream or spigot and lay out on a hot surface like the hood of a car until it warms sufficiently. Hang the bag from a tree branch, turn the attached nozzle, and you’ve got yourself a warm shower! On long driving days, I suggest placing a half-filled bag on the sill above your dashboard so that the sun can warm the bag through the windshield. Forget the flashlight. Nothing beats brightest ﻿﻿﻿﻿﻿﻿﻿headlamp for enabling you to keep your hands free while cooking or setting up your tent in the dark. No, wait… there is one thing. Luci makes a $ 15 inflatable solar lantern that is extraordinarily useful and lightweight enough to take backpacking. Charge it up by placing it atop your dashboard or clipping it to your lightweight backpack. You can get ten hours of light before it needs to be charged up again. I use the lantern inflated on a picnic table to light up the space, and when it’s deflated I wedge the little disc into an upper pocket of my tent to provide ambient light while I’m arranging the bedding. Brought closer, the light is more than sufficient to read by before I go to sleep. I don’t normally do product endorsement, but these little beauties are cheap enough that it won’t set you back much to follow my advice. Buy one and a headlamp. Just dont forget to check how to pack your equipment for camping. If cooking is a quintessential part of your camping experience, sure… get a two-burner propane stove. For two or more people traveling together, a large stove system might benefit group morale and logistics. You may want to check list recipes ﻿﻿on camping. But if you’re solo and no culinary expert, make it simple. I use an MSR Whisperlite stove because they last for years and years, plus I can take mine backpacking when I need to. They run efficiently and use white gas for fuel. If I’m car camping for a string of nights, I don’t bother breaking the unit down. I wrap a plastic grocery bag around the stove to keep the soot contained, then I toss it into the Jeep. 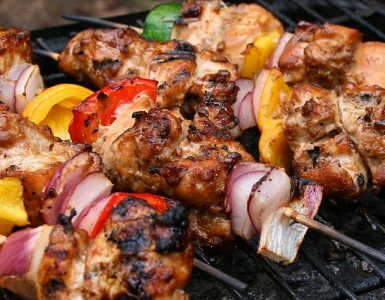 Eating primarily at your campsite, as opposed to dining out, is crucial to keeping expenses down while on the road. Save your money, and splurge on restaurants when you really need to, like on rainy days. But if you absolutely must cook on a rainy day, it helps to have a tarp at hand. Tie 6-10 feet of string to each corner, and tie a loop at the end of each string. Attach a heavy object like a metal carabiner to one of the loops, and throw the carabiner over a tree branch. The weight of the carabiner will help pull the string down to where you can reach it. Retrieve the carabiner, tie the string to a lower branch, and repeat with the other three strings until your tarp is held aloft between four trees. Make sure the tarp is taut and tilted so water spills off and does not accumulate. Now you can light your stove and prepare an evening meal without rainwater dripping down your neck. When you pack up the tarp, leave the strings attached for the sake of efficiency. If you’re camping at one site for several days, you may want to be proactive and set up a tarp shelter just in case, even if rain isn’t in the forecast. Want to make it simple? Don’t use soap. If you’re camping in a large group at campgrounds, sure…. use a system with multiple tubs of water. You can even use Earth-friendly, biodegradable liquid soap in the process. But when I camp solo or camp with a partner, I don’t bother. I use napkins. My best friend in the camping kitchen is the unbleached napkin. You can buy them in household-use packages, but I prefer the cheap, 500-pack bundles made for the food industry from recycled materials. They have no bad toxins or chemicals, so if loose pieces go astray in your campsite, they will decompose quickly and blend in with the environment while they do. Napkins are great for cleaning up oily residues on pans, pots and silverware, as long as you dispose of the napkins with your trash. Sometimes no further scrubbing is necessary. Bacteria love damp environments, like water coolers and Tupperware; miniscule dry food particles on pots and pans are not a good medium for bacterial growth. Still, if a pot has a dried film on it, I’ll usually follow up with a wet napkin scrub and one last napkin for drying. I don’t use sponges because they get oily and need rinsing with soap eventually. Some pots get fairly clean just by adding water and swishing it around, in addition to using a napkin to scrub off the residue. But whether you get your water from a container or from a stream, make sure you splash the dirty water on land, away from water sources and your campsite. In most dispersed camping areas, food particles are infrequently added to the environment, so the local wildlife don’t have the opportunity to become habituated to food scraps and turn into scavengers. Just think twice before you throw half a plate of spaghetti into the forest, or even a single piece of pasta. Scrape the big pieces into your trash before doing your dishes. Wild animals don’t stay wild if careless campers are abundant. Here’s an important disclaimer. I seldom cook meat while renegade camping, probably because I don’t like the hassle and expense of buying ice for my cooler. 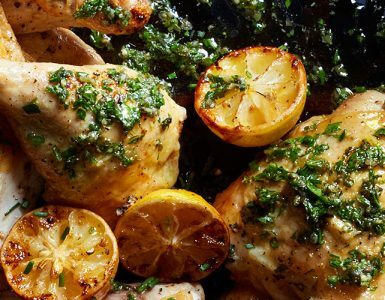 If you’re cooking eggs or meat, the protocol changes. To keep yourself from getting food-borne illnesses, you’d probably better use soap when washing up. At the very least, heat your pots or pans to a high temperature on your stove for a few minutes before adding food to them the next time you cook. This will kill off any bacteria that may have grown in the interim. Fold-up camping chairs take up space, but they’re worth it. They can be as cheap as $ 10, so bring one for each member of your party. They’re much more adjustable than a rock when you need to scoot away from the campfire because of heat or smoke. A second chair type, quite useful in camping, is the legless “stadium seat”, used often in the bleachers at sports events. This chair consists of two padded squares – one to sit on and one to lean back against. Your body weight and two pieces of webbing provide the tension to keep it in a chair-like shape. These seats take up little space in your vehicle, but they are nice for picnic tables and excellent for tents. I use Charlie’s 12-volt adapter to charge my laptop while driving, and then I can sit comfortably in my stadium-style chair in my tent at night and watch a movie before bed. If your significant other is not comfortable squatting in the woods, this aspect of dispersed camping can be a deal-breaker. Explaining the options to them requires some… finesse. The traditional method is to dig a hole with a trowel six inches deep. Next, you do your business. Your business goes in the hole. The toilet paper goes in the hole. You cover the hole. Then you wash your hands or use hand sanitizer. No big deal. However, I’ve seen too much toilet paper strewn about on public lands to know that curious animals will dig up these holes if they’re not deep enough. I don’t like to give them the option. I burn my toilet paper. Yep. I make a pile on a rock, a bare patch of earth scraped free of leaves, or on the ruts of whatever dirt road I’m camped near. I light the stack on fire and use a stick to stir the papers so that all the fibers get consumed. If there are embers left, I pour a little water on top to be on the safe side. Done! No chance of an unsightly mess should skunks come wandering by. Now lest you think I’ve left several forest fires in my wake, there are caveats to this method. If it’s windy, a flaming piece of toilet paper can travel pretty far; bury it instead. If the forest around you is a drought-ravaged tinderbox waiting for a single spark to set it off, forget it. Far more often than not, however, you will be able to safely dispose of your t.p. in this manner. And for people with predictable bowel movements, there is always this option: wake up, pack up the tent, then drive to a highway rest area, gas station or fee campground and use a proper toilet. I have been amazed by the kindness of strangers… people who appear out of nowhere and are willing to patch your tires or tow your vehicle out of a mud pit. Nevertheless, the true renegade camper learns over time to be self-reliant, so that they, too, have the capacity to help those less fortunate. This means learning how to change a tire and jump-start a car. At the bare minimum, you should always travel with a spare tire, a jack, and jumper cables. You should know how to jack up your vehicle and replace the tire; practice in your driveway if you need to. Of course, I have gotten two flat tires at the same time before. In that instance, I was lucky to find help in the middle of nowhere, but now I carry two additional bits of renegade survival gear: a tire repair kit and an air compressor that plugs into a 12-volt outlet. To use a tire repair kit, you have to find the hole in the tire first. Sometimes the hole isn’t obvious; you may have to jack up the tire, inflate it with an air compressor, and pour water on the tire tread to make it easier to hear the air escaping. Once the hole is located, use a metal reamer from the kit to abrade the hole, then add glue to a rubber tire plug and jam it in the hole. After you’ve repaired a tire once this way, it gets pretty easy, and the tire probably won’t ever need to be taken to a shop and patched. A simpler process for flat repair is to use a tire puncture sealant like “Fix-A-Flat”, which comes in aerosol cans that you attach right to the tire valve stem. The contents are released into the tire, where they coat the surfaces and prevent air from escaping. This, however, is a temporary fix. You will still have to take the tire to a shop, where the mechanics will clean off the chemicals and apply an actual patch. Jumper cables are essential for restarting a dead battery, but they require a second vehicle to come to your assistance. If you wish to bolster your independence, consider purchasing a portable power pack. These units contain a battery that can be charged via any household outlet and used to jump-start a vehicle, charge a phone, or run a number of appliances. Some power packs include an air compressor, too. The devices may be a worthwhile investment, especially if you like to be able to car camp in one location for a few days without having to leave to charge your electronics. If your car has a manual transmission, you should also know the trick to “push-starting” a vehicle with a dead battery. Put the car in second gear, depress the clutch, turn the ignition switch to the “on” position, and get some bystanders to push the vehicle until it reaches 5-10 miles per hour. Next, you “pop the clutch” by taking your foot off the clutch pedal – this will make the engine rotate and fire. The engine may want to immediately stall again, so quickly give the car some gas and/ or depress the clutch once more. Don’t forget to let engine run for a significant time afterwards and let the battery recharge, or you’ll be back in the same predicament the next time you try to start your car. If you know your vehicle has chronic battery issues, try to park on a road facing downhill when you find a campsite for the night. Even if you’re all by yourself, you can execute the same push-starting trick by releasing the brakes and rolling forward until your vehicle reaches 5-10 miles per hour. Pointing downhill when parking is a good habit to get into. Think of it as insurance for the renegade camper; sooner or later, you’ll be glad you prepared for the possibility of a dead battery. Sometimes, you’re not quite sure where you are. Perhaps you’re uncertain if camping is allowed at your location, and maybe the signs and boundary markers around you are all ambiguous. Renegade campers can find themselves in this situation a lot. It’s no fun if you’re feeling anxious, wondering if the authorities are going to drive by and roust you, or whether some absentee landowner is going to make a surprise appearance. But there’s one simple thing you can do to give yourself peace of mind… and it’s good for the planet: pick up a bag of trash. Yep. Just use a thin plastic grocery bag or a used Ziploc and scour your campsite for beer cans, shotgun cartridges, cigarette butts… all the stuff you might expect to find in these neglected regions. Then if some unexpected land manager drives into your campsite, you can introduce yourself, apologize for not knowing the land was private, show them the trash you’ve collected and ask if it’s okay to stay until morning. You can promise that you’ll leave the land looking better than the condition in which you found it. A goodwill gesture like that should do wonders to win over the locals. Now, I’d like to point out that I have yet to be challenged or disturbed in any of the “questionably-legal” campsites that I’ve used over the years. It’s easy to get worked up over the possibility of an irate landowner showing up with a shotgun, especially when you’re camping solo. But it’s just not likely to ever happen. I’ve never had to use a bag of trash as a peace token, and yet I still do it, just because it dispels any concerns about how I might be treated, and it helps me settle into my campsite. So bag that litter. At the least, you’ll improve the aesthetics of your temporary home and enrich the natural experience for future travelers. The “Leave No Trace” principles are guidelines that promote conservation in the outdoors. If you’re a renegade camper, listen closely; most of these apply to you as well. We don’t want to be known for mucking up the natural environment, nor do we want additional regulations regarding the use of dispersed camping on public lands because of a few bad apples. First and foremost, choose well-used campsites. If you’re parking on grass, you’re probably doing it wrong. If you have to move rocks to stabilize your tent or for any other reason, move them back before you leave the site. Likewise, if you need to remove a bunch of pinecones and twigs in order to pitch your tent, scatter some afterwards to restore the natural look of the area. Don’t dig trenches around your tent. Don’t nail anything into trees; tie ropes around limbs instead if you need to hang something. And when going to a stream to collect water, be careful not to step on sensitive vegetation. Don’t try to ride the animals. Don’t mess with their homes. Don’t feed them, accidentally or otherwise. If you need to leave camp for a short while, make sure all food is safely stored in your vehicle. 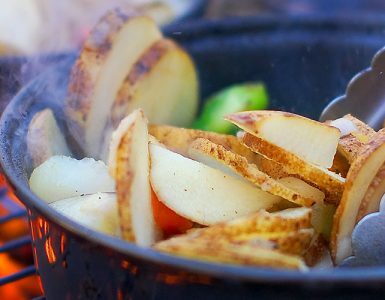 If there’s not a fire ring in your campsite already, skip having a fire unless your dinner absolutely depends on it. Build campfires responsibly; don’t make a bonfire, and never light fires in windy conditions. Only use downed branches for firewood. If there is time and the air is calm, allow wood and coals to burn down to ash, then pour water on top to make sure the coals are out completely. Be considerate of other visitors to public lands. Keep the volume of your speakers at a reasonable level, and don’t use them at all if anyone is camping nearby. Not everybody likes to hear the Allman Brothers at midnight or Tom Jones at 8 o’clock in the morning. Bury human waste at least six inches below the surface and at least 200 feet away from streams or lakes. If you have to use soap for your hands or dishes, use small amounts of biodegradable soap and use it well away from water sources. Of course, pack out your trash and don’t burn anything plastic in your campfire. Don’t leave food scraps in the kitchen area when you go to sleep at night. And do one last sweep for trash before you depart the next morning. It’s nice to be able to drive away with a clear conscience, knowing you’ve left the place in better condition than that in which you found it. Plus, when you’re essentially relying on luck every night to find a campsite, it helps to accrue some good renegade camping karma.